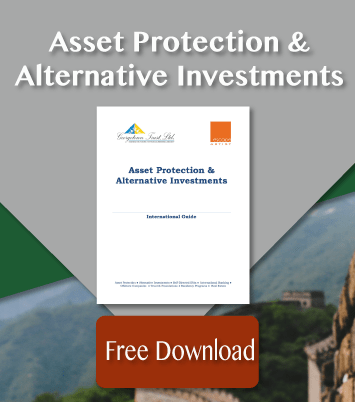 Have you ever considered buying trees to strengthen your investment portfolio? Timber is gaining in popularity among investors thanks to its ability to diversify portfolios by means of something other than stocks or bonds. The timber market creates new opportunities for investors to allocate capital for both income and appreciation. The teak market, specifically, is known for helping build strong generational wealth. Since 2008, the management of timberland has been moving from manufacturers of timber-related products to timber management organizations that have technical and market knowledge when it comes to investing and maximizing returns. This is part of the reason that the popularity of this form of investment has been growing. It also helps that timber increases in value at a greater rate than inflation. Timber prices from 1905-2005 grew at a rate of approximately three percent greater than inflation. When you choose to invest in timber, it also helps to know that not all timber is the same. Teak is specifically proving to be a strong asset for portfolios, thanks to its highly-sought after value and increasing demand. This wood is known for being tough against the elements, including fire and insects, and is strong and aesthetically pleasing enough that everyone wants to use it for outdoor furniture, decks and boat building. Teak has risen even further in value over recent years because of a spike in demand after logging it was banned in Myanmar. This was due to the nature in which the logging industry was depleting the country’s Teak population. Since teak grows naturally in only four countries, the demand grows even higher. For all of these reasons, it is a better time than ever to get involved in the teak game. 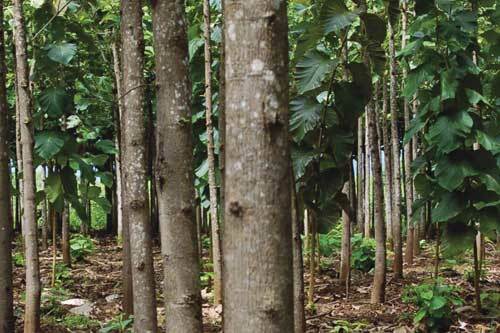 Countries like Nicaragua and Panama have entered into the market by opening up teak plantations for reforestation. When you make an investment in teak via one of these plantations, you can go and view your investment up close and personal. You are purchasing a plot of timberland on which your investment will literally grow. The trees take 25 years to grow to maturity, from which point you can harvest them at their most valuable and then plant them all over again. This hardwood continues to increase steadily in value by 5.5 percent growth, and you won’t see it fluctuate like that of stock and real estate. Timber itself is a risk-averse investment, because it will always be needed. As long as you understand that it will be quite a while before you see any returns, you should consider this investment vehicle a strong option when choosing ways to diversify your portfolio. Ever since the Myanmar ban on teak logging, there has been a problem with teak falling into the black market trade. With demand growing ever-higher, it only makes sense that someone would be trying to cash in on that. However, you can be certain that you aren’t getting involved with anyone that is hurting the ecosystems in Asia by choosing to get involved with the reforestation plantations in Latin America. Since teak is a tropical tree, it has to be grown in tropical environments, and there’s nowhere better than near the equator. For this reason, you can find teak plantations in Nicaragua, Panama and Costa Rica. These countries are part of a reforestation effort that allows for investment in timberland on which to grow the increasingly-rare hardwood, and supporting them means knowing exactly where your teak is coming from and knowing that you are helping, rather than hurting, the environment. On each plot you purchase, you can plant teak, allow it to mature, and then harvest and re-plant it. This keeps the life cycle of the trees moving along, so that your investment continues on as long as you wish it to have life, all while ensuring that you aren’t depleting Asian forests. There are some residency programs associated with teak investments in these countries, as well. As you might be aware, many Latin American (and Caribbean, for that matter) countries offer residency options for foreign investors, so purchasing teak trees could help you in more ways than one. If you’re seeking residency as well as a strong international investment, consider the two birds one stone approach by choosing to invest in teak in a place like Panama, where you can take advantage of a residency program along the way. The Panamanian program offers permanent residency through an investment in its teak program. In-demand, yet of dwindling supply in the marketplace, Teak is a remarkably valuable hardwood that is extremely durable, practical, and beautiful. Contact Rachel Jensen, co-founder of the Teak for Residency program in Nicaragua and Panama, to see if ownership of a Teak parcel makes sense for you.